Can small businesses compete with big brands when it comes to SEO? Google strives to be equal opportunity in its rankings, but the fact remains that larger companies have greater resources, own higher authority domains, and receive more mentions in the press. Lacking similar resources, is search engine optimization worth the time and effort for a small company? This was the dilemma faced by one SEO client in the property management niche. They were a small, family-owned business competing with Online Travel Agencies (OTAs) and vacation rental aggregators like VRBO.com. Onsite analytics revealed that some of the client’s best performing pages weren’t properly indexed and were not showing up in any search engine results. These pages had the potential to rank for keywords with high buyer intent. This lack of search engine visibility put the company at an even greater disadvantage compared to their competition. This issue was resolved and we rebuilt the internal linking structure to drive more traffic to these pages. 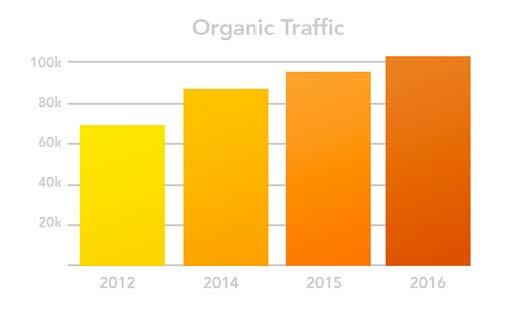 The client’s organic traffic grew 26.7% year over year. The increased traffic proved profitable quickly. Once the changes were implemented, an additional $50,000 in revenue was generated during the client’s peak season months. It is possible for a small business to level the playing field and compete with bigger brands for search rankings. No matter what size of your company, SEO is a worthwhile investment and one that you can continue to profit from for years. While you may not have the in-house resources to properly optimize your site, outsourcing can be an effective alternative in terms of both price and the results generated.